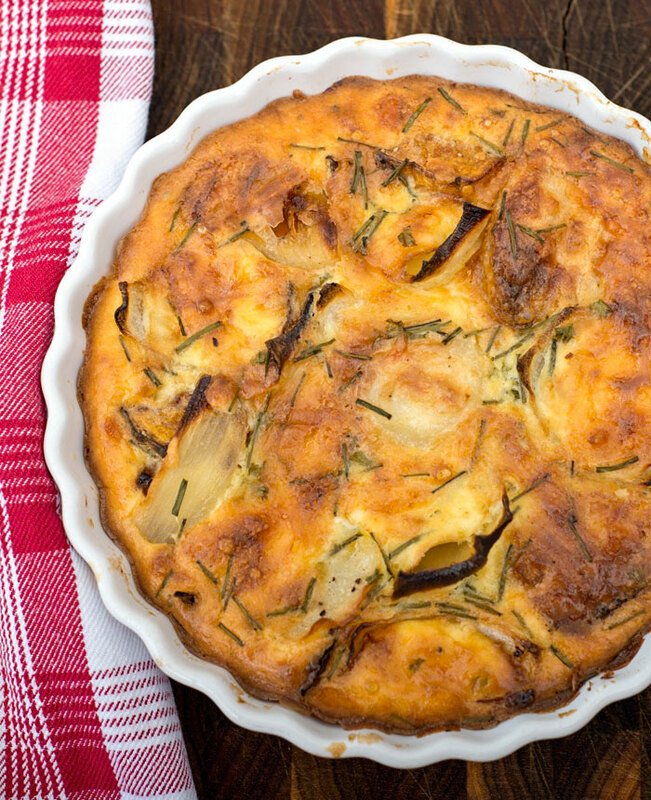 This is a delicious but really easy lunch - no crust on the quiche! 1¼ cups butternut squash (pumpkin) cut into narrow slices. Place the cut butternut, potatoes and onions into a bowl. Add oil and stir to coat then place on the baking sheet. Sprinkle with salt and pepper. Roast until the vegetables are soft and just begin to take on some color. While the vegetables are roasting, prepare the custard. In a medium sized bowl, whisk the eggs, cream and yoghurt. Then add salt, pepper, nutmeg and chives. When the vegetables are done, take out of the oven and cool for 10 minutes. Spray the quiche pan with oil and place the vegetables at the bottom and sprinkle the cheese on top. Place the dish in the oven which is still at 180C/350F and pour in the custard, leaving enough room for the egg mixture to expand. Bake for about 40 minutes or until the center rises and then immediately remove it from the oven. Serve with a side salad for a perfect lunch.